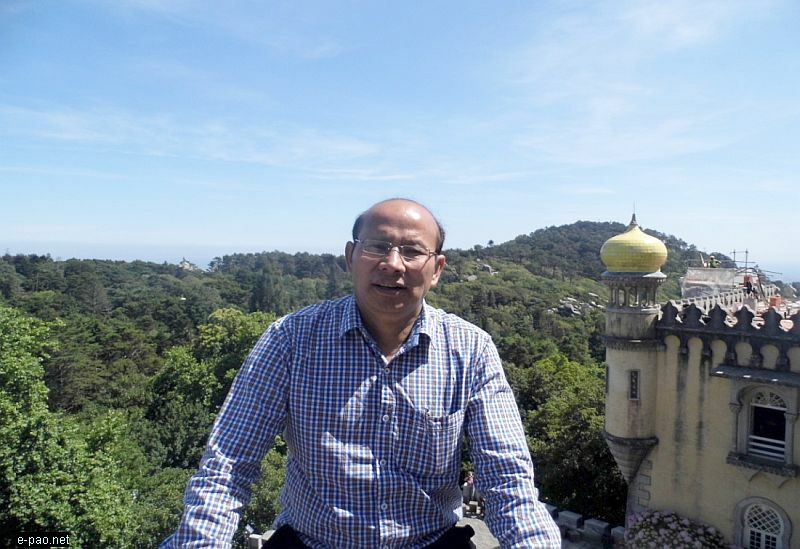 Tangkhul Scholars' Association (TSA) congratulates Dr. Yaruingam Awungshi on being awarded professorship on 2nd August by the University of Delhi. In the academic field, promotion to the post of professorship is a significant achievement. His hard work and dedication is a source of inspiration for many budding scholars. Dr. Yaruingam Awungshi hail from Shingkap Village, Ukhrul Dist., he is currently the president of Tangkhul Scholars' Association and Tangkhul Naga Society, Delhi (TNSD). He was awarded PhD from JNU and his research area is Sociology of Religion, particularly focus on African Sociology with special focus on Religion. He joined University of Delhi as an Assistant Professor in the Department of African Studies in 1998, promoted to Associate Professor in 2010. He was the Head of Department, African Studies from 2012 to 2015. He taught for four years in Addis Ababa University, Ethiopia, as World Bank Project Fellow. He represented India in the Conference and Panel Discussion on the topic, 'Perspective of EU, China and India on East Africa', hosted by the Federal Government of Germany in Berlin in 2013. He is also the founding member of the African Studies Association, (ASA) India. He has wide academic publication to his credit. He is the author of Hinduism and Christianity in India: A Sociological exploration of the Process of conversion (Case of Manipur) 2005, and the co-author of Africa Insight: Contemporary Perspective (2013), The Rising Africa: Prospect and Challenges (2014), co-editor of Rethinking Education in the Hills of Northeast India, 2015 and Encountering Modernity: Situating the Tangkhul Naga in Perspective, 2014. He is also the Editor –in- Chief of Indian Journal of African Studies, (IJAS) Department Publication, under Delhi University. He has a numbers of publications in highly reputed national and international journals, and presented papers and delivered special lectures in national and international seminars.